Electric vehicles (EV) are slowly becoming more accepted and perhaps even becoming mainstream. 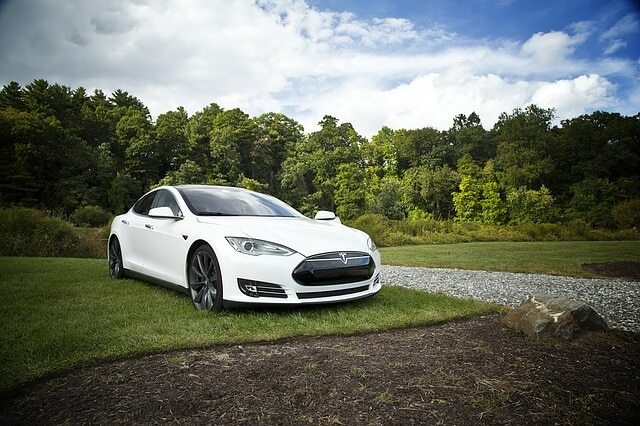 Being a technology and money geek, the idea of owning an electric vehicle has me intrigued and even a little excited. There aren’t a lot of options for electric vehicles, but it looks like 2018 will offer a number of options for consumers. Why do I like electric vehicles so much? One main reason – efficiency! They charge like a cell phone (except with a much bigger cable! ), have much better mileage than equivalent gasoline engines, have the ability to generate energy when you aren’t pressing on the gas peddle, and zero emissions! These cars not only cost less in terms of fuel, since EVs generate electricity when you let go of the gas peddle, thus forcing the EV to slow down, brake pads/rotors can last for several years. To top it off, regular maintenance costs are less than a gasoline powered vehicle because electric engines do not require oil changes. Do I have you convinced yet? Well, as I like to present a balanced view on any topic, there are some downsides. The first is that there are very few models that are affordable to everyday consumers. I mean the Tesla Model S is probably my favorite dream car (see the white vehicle below), but it starts at $90,000 (+ tax/delivery) and goes all the way up to $173,000 (+tax/delivery). While I could probably afford it, heck even pay cash, I could never dish out that much money for a vehicle. The second downside is that the technology, especially battery technology, is improving by leaps and bounds every year and hasn’t plateaued yet. So buying a model that’s a couple years old would likely have a lot less driving range/charge than current models. And third, range limitations. Although battery technology is improving, economical electric vehicle options are fairly limited in range. 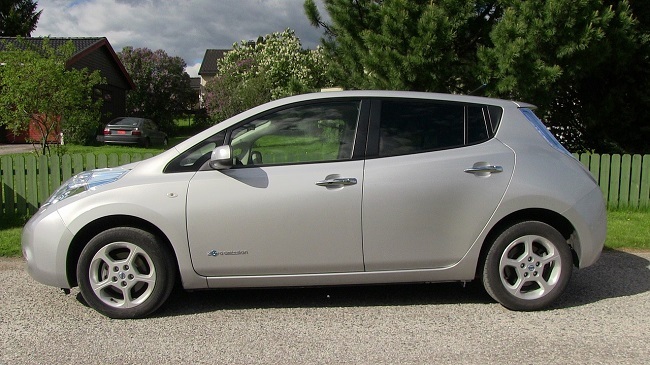 For example, an economical used 2013 Nissan Leaf costs less than $15k and has an estimated range of 135km. While it’s fine for urban travel and frequent charges, it’s not great for people who need to travel greater distances. Although most vehicle manufacturers are coming onboard with electric versions of their lineup, as of today, there are only three models that I would consider. These offer a balance of driving range and pricing. Also note that some provinces like Ontario, Quebec, and BC, offer a credit for purchasing an EV. All of these provinces have their own rules, but Ontario will offer up to $14k, Quebec up to $8k, and BC up to $5k. The Nissan Leaf is the highest volume EV sold in North America! Why? Because they were the first affordable EV offered to the mass market. As I previously mentioned, the 2013 Nissan Leaf offered 135km of range in ideal situations, and the 2017 model has increased its range to 172km. The range decreases significantly once you need to turn on the heater in cold weather (ie. Canada!). The one aspect of the Nissan Leaf that’s up for debate is the look of the vehicle. Some love it, others hate it – it’s a polarizing debate! Personally, I don’t mind it as I think that an EV should have a unique look. The Leaf will change significantly in 2018, not only in terms of looks (as shown above) but also a significant increase in range from 172km to 241km. This will bring its range closer to the next two competitors. The data below is based on the new 2018 model, I chose this model because it’s a closer comparison to its main competitors. Price: $36,000 CAD (+taxes and delivery). Range: 241km per full charge using a 40kWh battery. A 60kWh battery coming in 2018 which should theoretically increase the range to around 350km per full charge. Cost per charge: In NL, the local power utility (NL Power via Fortis) charges around $0.12/kWh regardless of the time of day. Big difference from Ontario which charges $0.157/kWh for peak hours, and $0.077 during off-peak or late night hours (ie. the perfect time to charge). So with a 40kWh battery in NL, the cost to charge from 0% to 100% would be about $4.80 or about $0.02/km. If charging in Ontario during off-peak hours, the cost goes down to $3.08/full charge or about $0.013/km. How does this compare to a typical sedan? Say that a Honda Accord can get 600km out of a 65L tank through city/hwy driving. Assuming gas is $1/L, that’s about $0.11/km. Notes: Since this EV has been around for a while, there is a healthy used market. Depending on where you live, you can pick up a 2015 model for under $20k. The best prices are from the provinces that offer a credit towards an EV since the original owners received a significant discount due to the EV credit. One more thing to keep in mind, 2016 is the first year that Nissan offers extended range of up to 172km (from 135km the year before) in the SL/SV models (S is the base model). It is expected (maybe hyped?) that the Tesla Model 3 will become the most popular EV ever. With Tesla design (it’s a beauty) and technology combined with reasonable pricing (especially with provincial credits), it is no wonder that hundreds of thousands of people put down a deposit. With the backlog of orders, you may need to wait until the end of 2018 before the Model 3 becomes available to the general public. While the Model S starts at around $100k CAD, the Model 3 will start at around $35k USD or $44k CAD (depending on the exchange rate). Tesla is directly competing with the BMW 3-series in terms of pricing, but with provincial credits, it’s actually competing with mid-range sedans like the Honda Accord. Let’s get down to the details. Price: Standard range: $35,000 USD or around $44,000 CAD (+ taxes and delivery). Long Range: $44,000 USD or $55,300 CAD (+ taxes and delivery). Range: Standard range: 220 miles or 350 km per full charge (reportedly 50kWh battery). Long Range: 310 miles or 500 km per full charge (reportedly 75kWh battery). Cost per charge: With a 50kWh battery, the cost to charge from 0% to 100% in NL would be about $6 or about $0.017/km. If charging in Ontario during off-peak hours, the cost goes down to $3.85/full charge or about $0.011/km. What’s interesting is that the efficiency or cost of electricity with the Tesla is slightly better than the Nissan. Notes: The Tesla Model 3 pricing is actually very competitive with the Nissan Leaf, which is quite surprising to me. By the time you upgrade the Nissan Leaf to the larger battery pack to keep up with the standard range Model 3, I’m thinking the price difference will be negligible. So for the same price and range, which would you pick, a Tesla or a Nissan? You already know my answer. This GM vehicle is the biggest surprise on the list with the release of the Chevy Bolt. Released in early 2017, this was the first mass-market EV with a range that is close to what a regular gas tank would give you. With pricing that is competitive to the Tesla Model 3 and the longer range model of the Nissan Leaf, this gives consumers another viable choice. Actually, as of this moment, this is the ONLY choice if you want a longer range model at a reasonable price (after credits). The Model 3 is back ordered and the 2018 Leaf has not been released. Range: 383km using a 60kWh battery. Cost per charge: With a 60kWh battery, the cost to charge from 0% to 100% in NL would be about $7.20 or about $0.019/km. If charging in Ontario during off-peak hours, the cost goes down to $4.62/full charge or about $0.012/km. While the efficiency of these vehicles are similar, the Tesla comes out on top in terms of cost/km. My 3 favorite EVs at the moment are actually all very close in terms of range and price. In Ontario, overnight charging costs work out to $0.013/km for the Nissan Leaf, $0.011/km for the Tesla Model 3, and $0.012/km for the Chevy Bolt. Even though I can imagine myself owning an EV right now, I would not pay the premium to own a new one. Personally, if I was to purchase an EV right now, I would pick a used 2015 Nissan Leaf in the $17k-$20k price range, then wait until 2021 or so (a retirement gift?) to buy a used Tesla Model 3. Calling these vehicles “zero emissions” is misleading. The emissions just get transferred to the power plant that produces the electricity to charge the batteries. Yes Sooke, you are right it depends on where you live. Where we live, most of the electricity is produced from hydroelectric power. In sunnier jurisdictions, I can see using solar panels to charge EVs for ultimate efficiency. Hydro only provides 25% of Ontario’s power – wind and solar combined less than 2%. Sorry, wind and solar less than 10%. And most of the rest is nuclear. The worst part is natural gas. So ya, greenhouse gases and toxic pollutant emissions are waaaay lower for an EV in Ontario. Though even in markets with heavy reliance on fossil fuels for power, the emissions of an EV are usually much lower than a gasoline engine. It’s a lot easier to run a a power plant a peak efficiency. It’s also much easier and more economical to install emissions-control equipment on one power plant than a million tailpipes. I can’t get “excited” with electric vehicles because of their short range between charges. They’re ok for inner city commuting but very impractical for long distance trips. If they ever do become more advanced and popular our electric power needs will go up exponentially. I believe hydrogen fuel cell vehicles make more practical sense and will be the wave of the future. In the meantime I’m more than happy with my 2007 Camry Hybrid. Hi Bernie, what kind of mileage do you get with your hybrid Camry? I believe that charging station numbers will continue to increase over the years. Once electric cars really catch on, and I believe they will, you’ll see electric charging stations with stores attached to them just like gas stations now. It’s only a matter of time! OK lets say future charging stations become no father than 100km apart across every nook and cranny of our vast land. How would you feel about taking a 4 hour charging break every 200km should you embark on a long distance trip? Take an electric or solar powered bus or airplane instead? Yikes! Hi Bernie, that doesn’t sound like a great scenario! Hopefully there will be more “super charger” stations available that will charge batteries up to 80% in about 30 minutes. Just put a deposit down to reserve a 2018 Honda Clarity plug in electric hybrid. True 5 passenger mid-size sedan (similar size to the Accord), 75 km electric only range (more than enough for my daily round trip commute) plus super efficient gas engine so I can drive from Toronto to Montreal or anywhere I choose without stopping for hours of recharging. With a $14,000 rebate it will probably cost about the same as a loaded Accord (prices not available yet). I can afford a Tesla but have no interest in an electric only. Plug in hybrid makes more sense to me. Same here. I am considering Chevy Volt. I will take a look at Honda Clarity then. We ordered a Ford Focus Electric 2017 in April and are awaiting delivery in October. The range is listed at 185km but owners claim 200km depending on driving ability and responsibility. From a frugal argument, this car will be under 21k and elected to finance at 280/month for 6 years 0%. This includes 14k Ontario rebate. Based on driving 1500 km/month, we should save $100/ mth from gasoline to electricity. Outside of insurance, the cost will be $300/ month to drive for the first 6 years. Maintenance should be minimal, we will see. It was time for us to take the plunge. Our current 2007 car is approaching 11 years and showing signs of deterioration. Hopefully, we made a good decision as 2019-2020 models will make major advancements. 11 years old car is still young. :-) Our old Honda Civic is 18 years old now and still working. But I do expect it could break down any minute now. As we did not drive this car much so there is no rush to replace it yet. I am hesitating to buy an electric or a plug in right away is exactly because they are making big improvements every year. I always feel if I could wait a little bit longer then I will get a much better car. I do not disagree with you. Our car has some cosmetic challenges where someone backed into it while it was parked and another occasion where a nice young fellow smashed the back window with a fire extinguisher and our door no longer locks after the window was replaced. Both these instances we did not pursue through insurance. Our mechanic advised it would be expensive to change the lock. Additionally, it is starting to have some rust issues as we never did undercoating, something we want to consider on a future vehicle. I didn’t mean to suggest it was old, just approaching our tolerance for replacement. I’m starting to think about the possibility of making my first car purchase (at the ripe old age of 30), and very much hope I can swing an electric car. Problem is, I don’t want to buy at current new prices, and the used cars coming to market now are the initial models with very limited range. So either new prices need to edge down by $10k, or I need to hold out two years or so until some of the more reasonably-ranged electric cars start hitting the used market. I’ve considered a used Volt (plug-in hybrid), but have come to the conclusion that it misses one of the main benefits of an electric: mechanical simplicity. I’d much prefer to never have to worry about oil changes, new mufflers, and all the other million moving parts that come with a gasoline engine. More generally, I think we’ll very soon hit a tipping point where our vehicle fleet will rapidly shift to electric. Electric vehicles have reached the point where they cover more and more people’s needs with every model year (even if they don’t cover everyone’s needs). As they reach critical mass, I think we’ll quickly see a death spiral for gasoline vehicles and their infrastructure – as more people buy electrics demand drops for gas stations, oil change shops, brake shops, etc., and those places start to close. As those places close, it gets harder to own a gasoline vehicle. And as it gets harder to own a gasoline vehicle, more people buy electrics and the cycle accelerates. I enjoyed the review. Nice work. However I would like to point out some potential flaws with the cost calculations. For example with the 2018 Leaf you use the full manufacturer range number of 241kms but for the Honda Accord you use only 72% of the manufacturer combined fuel economy rating of 7.8l/ 100km which would actually be 833km/65l tank, not 600km. In actual real world usage the Accord is probably within 10% or better of the rated number (=750km/tank) but the Leaf (or others EV’s) is more likely to be about 60-70% of stated range (=144-169km). This is because the maximum EV range does not reflect high draw factors such as usage of air conditioner, heater, lights etc. which are normal everyday functions, and tested operation of the vehicle is under very ideal conditions. ie It is extremely unlikely a driver will attain anywhere near 241km range. These considerations do not change advantage to the EV vehicle for cost efficiency. However for shoppers and owners of these cars its probably better to have more accurate expectations. Excellent comment Deane, thank you. Yes the range is highly variable and depends on the driver. And this works both ways. There are some drivers that hyper mile and get higher mileage than the manufacturer rating, like I’ve read with bolt owners. However this is more the exception than the norm. There are ways to minimize heater usage during the winter on the leaf. For example heating up the car in the mornings while still plugged in. Nice review! I have been closely watching Nissan and Tesla as well. Like you pointed out, I will wait till battery life increases immensely and hopefully, more players drive the insane costs down! Great post! We picked up our Kia Soul EV last year (April 2016) and have been enjoying it ever since. Not having to buy gas or spend money on oil changes is awesome. We made it thru our Ottawa winter without any issues. In summer I can get 155km range and in the winter it drops to 115km. We are a 2 car household, so we use the gasoline car for longer trips, but within the city we use the EV exclusively. In the past 17 months I’ve never experienced range anxiety. The car seats 5 adults comfortably and the cargo space is identical to the gasoline model. The silent operation and instant torque is incredible! In Ontario today the EV rebate is $14,000 if you purchase the vehicle or lease it for at least 3 years. The rebate really helped to sway our decision, and the fact that I wouldn’t have to buy gas anymore. Thanks for stopping by Kanwal! What was the on the road price of the Kia Soul EV after the credit? The MSRP listed on KIA Canada’s website last year was $34,995. The Ontario EV Rebate last year was $11,399 and I also got a $2,108 discount from the dealer. Including the discount plus tax (HST) the price came out to: $37,162 then applying the EV Rebate brought the price to: $25,763 (that’s tax in). I wasn’t prepared to pay $25,763 in cash for a depreciating asset. Plus the battery technology is changing so fast, the newer EVs come with more range, and didn’t want to get stuck with a 15 year old car, over time lithium battery storage capacity also gets reduced. So I ended up leasing the vehicle for 3 years (which also gets you the full Ontario EV Rebate). I know leasing is a big “faux pas” in the financial/frugal/FIRE community. Leasing isn’t for everyone, but in my specific situation it made the most financial and economical sense. I’m happy to explore this topic with you in a future article if you’re interested. I believe one of the issues talked about with EV are for those people who live in apartment buildings, especially older ones. My daughter has an assigned underground parking space but no access to any electrical outlet, let alone one designed for an EV. I don’t know if her workplace has designated spots for EV charging, but I doubt it. My last job was located in uptown Toronto and we parked on the street – so there would be no ability to charge while at work. As mentioned above, the charging infrastructure needs to be there for wider adoption, but it will take some forward and risk minded thinking to “build it and they will come”.